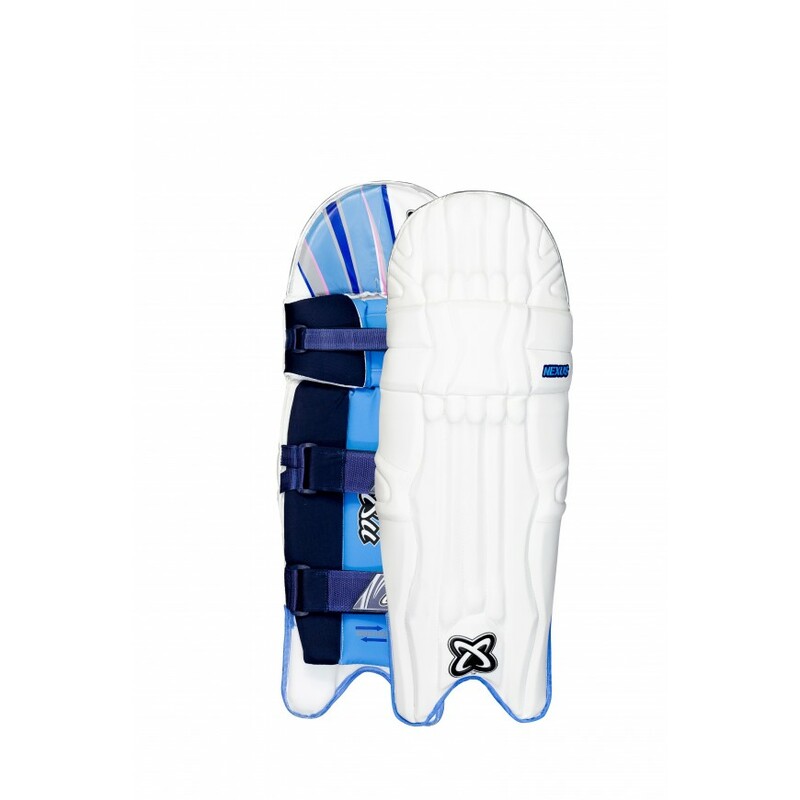 Our top quality Nexus batting pads offer exceptional performance and comfort. The super lightweight materials give you speed and mobility, while the shock absorption materials provide the best protection. The improved side wing design and low density foam filling ensures maximum protection, with the three adjustable straps providing a comfortable and secure fit.